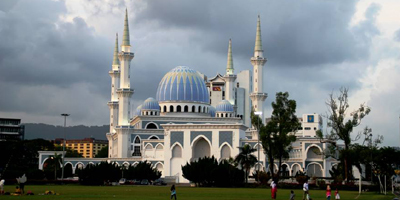 Kuantan is the capital city of Pahang. It ranks as the largest city in the Eastern region and the 9th largest city in Malaysia. Over the years of development, Kuantan has grown into an economic powerhouse. Kuantan is not to be underestimated for a lack of delicious delicacies.On the contrary, there are many must try’s within its borders. When in Kuantan, do allocate some spare time to pamper your tastebuds with some cendol air putih, asam fish and curry mee. There are various commutes that you could board when exploring Kuantan. Public buses covers the majority of the the city including the outskirts like Cherating beach and other tourist destinations. Bus stations are located along Jalan Besar and Jalan Stadium, whereas a terminal at Kompleks Makmur. Travelers can also opt to rent a car for more independence on the road, all at reasonable rates. Accessible bus, train and plane. 10 minutes drive away from Sultan Ahmad Shah Airport. Famous for their “keropok lekor”. Home to scenic beaches and theme parks. This unique beach is filled with black or dark coloured limestones all over the beach. The beach is situated about 10km from the city centre of Kuantan. The stones truly shine under the sun as the water from sea washes over it. Not only are the stones a sight to behold under the sun, but it is also a great place for a picnic as well. Panching caves is located at Sungai Lembing, Kuantan atop Panching hill. It is a limestone cavern with many unique cave formations. This cave is used as a Buddhist temple. Inside the cave lies a 9 meter long Buddha statue. Teluk Chempedak is located 5km away from the town centre of Kuantan. Blessed with white sands and pine trees, Teluk Chempedak is what you would imagine a dream beach to be. There are many water activities in store for fellow tourist aside from sunbathing. Kayaking, boating and jet scooter riding are just the few to mention. Bus travels to and from Kuantan to many other cities has never been easier. There are several bus services at convenient timings from Kuantan that are available for booking online on Catchthatbus or via mobile app which can be downloaded for free on Google Play or App Store.